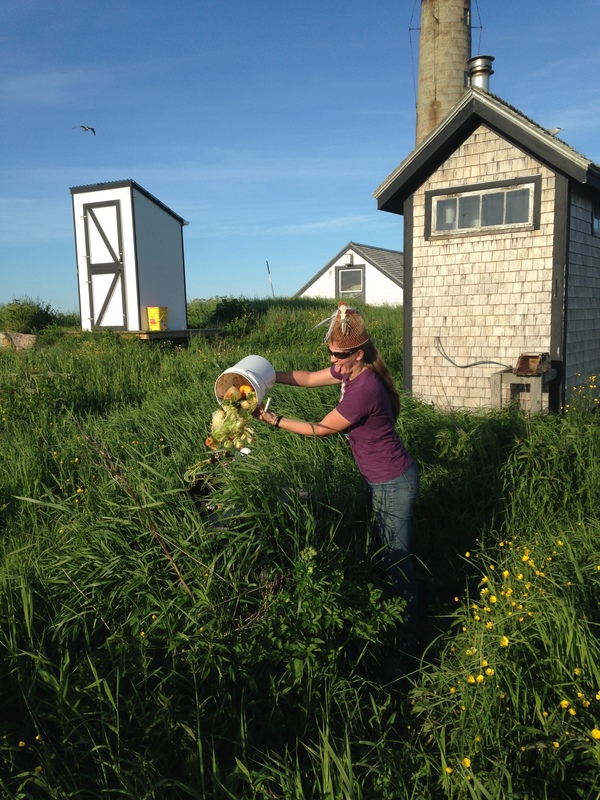 Lots to do here on the island; as you might know our terns this year are running a little later than in past years, and later from the other Maine Coastal islands. We speculated from earlier observations that it could be due to a lack of good fish during courtship. 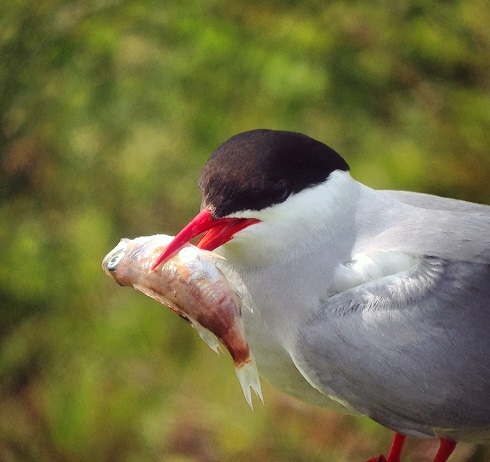 Fish have continued to be unusual, in that we have a large variety of fish, some of which we have never seen terns carrying before. So after post-tropical storm Arthur rolled through with over 60mph winds and torrential rain, it is sad to say that about a 3rd or more of our chicks didn’t make it through the storm and a few alcid burrows were flooded. Then after a week of nice weather, when everything was just getting back to normal, the next storm moved in and we were socked in with another storm and lost even more tern chicks. So as you might guess there was a lot to catch up in the colony after all the storms, but we didn’t lose hope and the strongest survived. 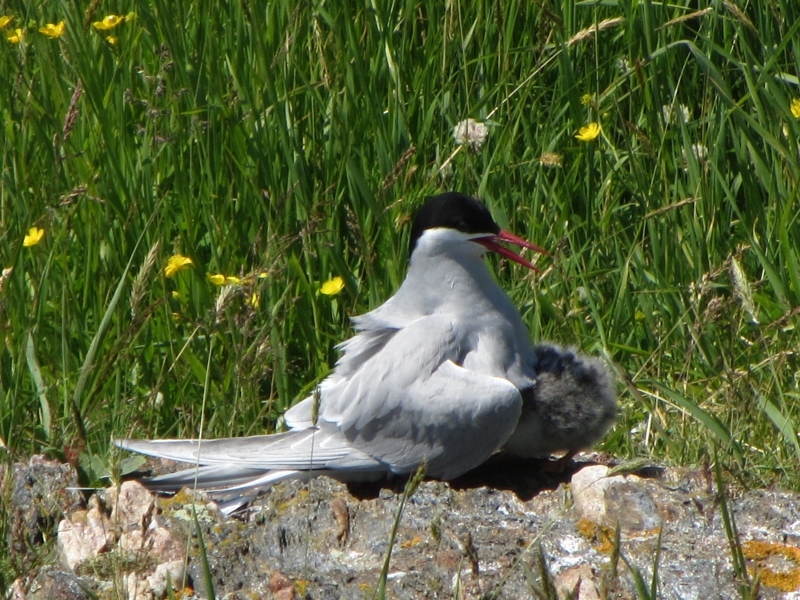 Of the ones who made it, they did very well and we had our first of many arctic and common tern fledglings taking their first flight on July 20th! 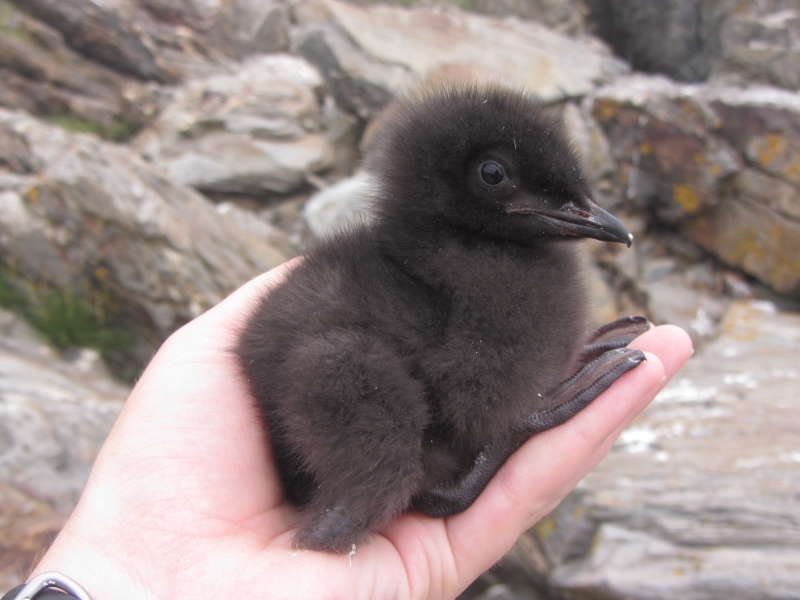 As for our Alcids, all our puffins and guillemots are growing rapidly in their burrows. 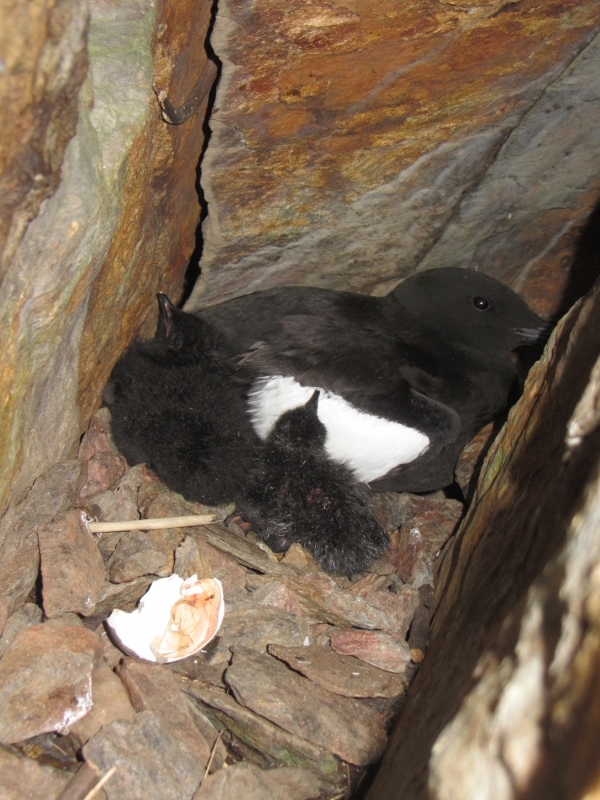 We have an increase in puffin and razorbill burrows this year and they seem to be doing well. Recently we found an usual guillemot that had two black wing bars like a Pigeon Guillemot. 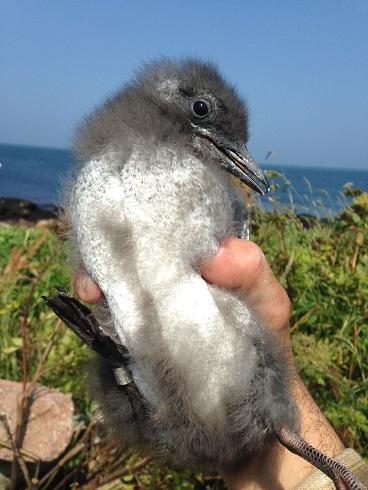 We replaced the old, worn band on its leg and discovered that it was banded here on the island in 1998! 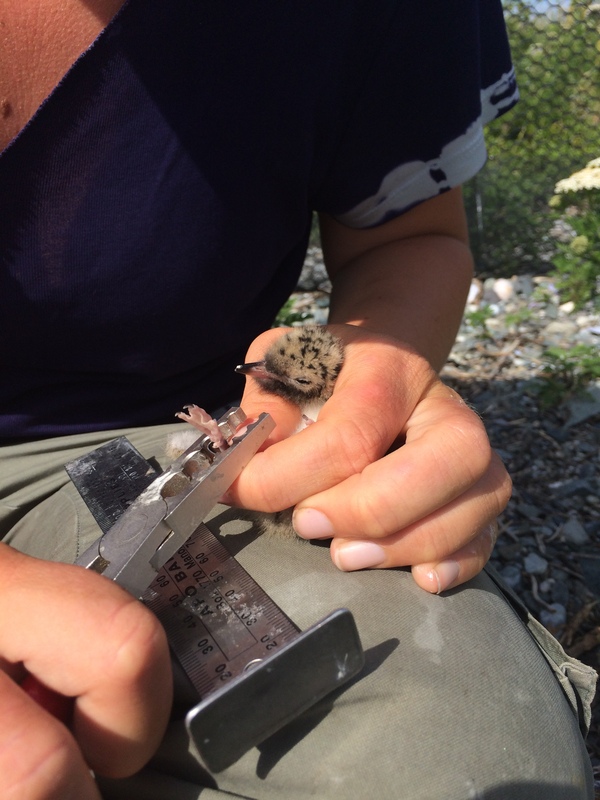 One last exciting thing that happened here on PMI was that MCINWR came out to the island and attached a nanotag to one of our razorbills! 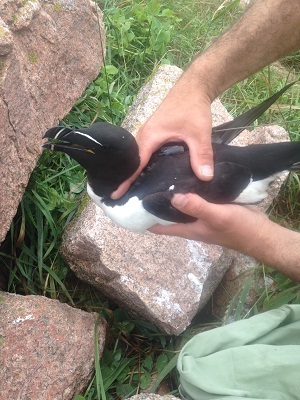 After banding it, Linda implanted the nanotag and the razorbill was put safely back into his burrow. 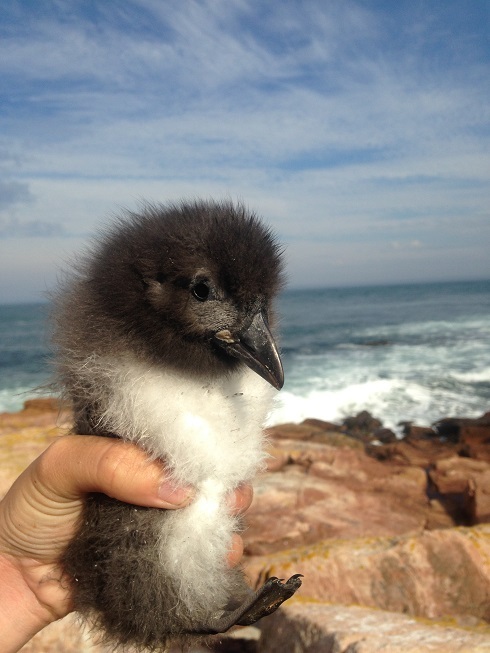 Now we will be able to track “Percy” our razorbill (we needed to name it and it seemed fitting to name it after Julia’s 21 year old cat who was actually named after a Maine lobsterman!) wherever he goes. More on that soon! to identifying a black skimmer after tropical storm Arthur (a somewhat rare species up this far north, typical after southern storms)…. 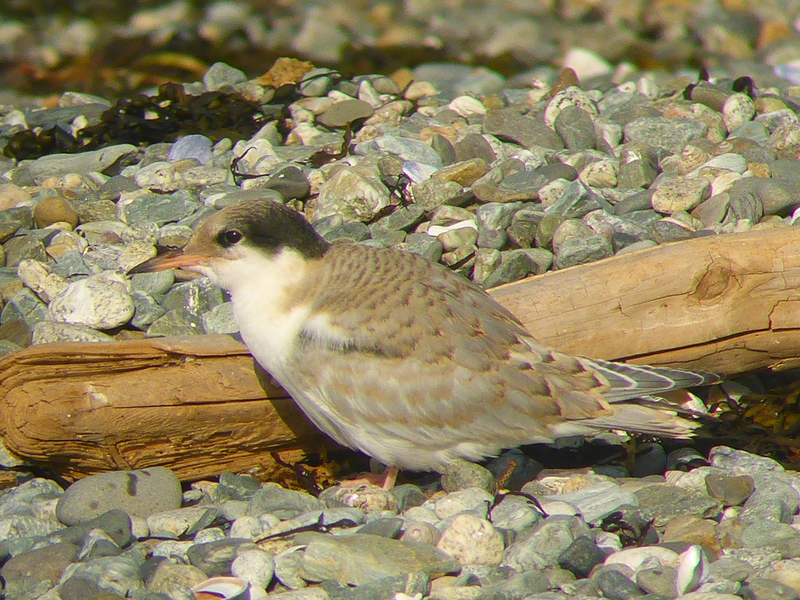 Common tern fledgling exploring the beach. to watching fledglings fly and touch the water for the first time. We have learned so much about common terns and island living. As far as we can tell so far, without having computed our final numbers, our colony did very well this year. 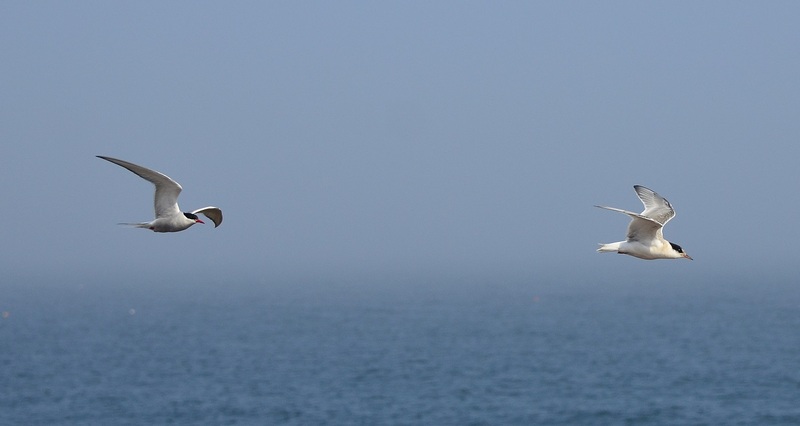 While the peregrine falcon and merlin visited nearly daily after chicks hatched, they did not disturb the terns enough to affect the whole colony. The larger of the storms down-poured over 3 inches of rain at times, yet miraculously we had very little loss due to the weather. 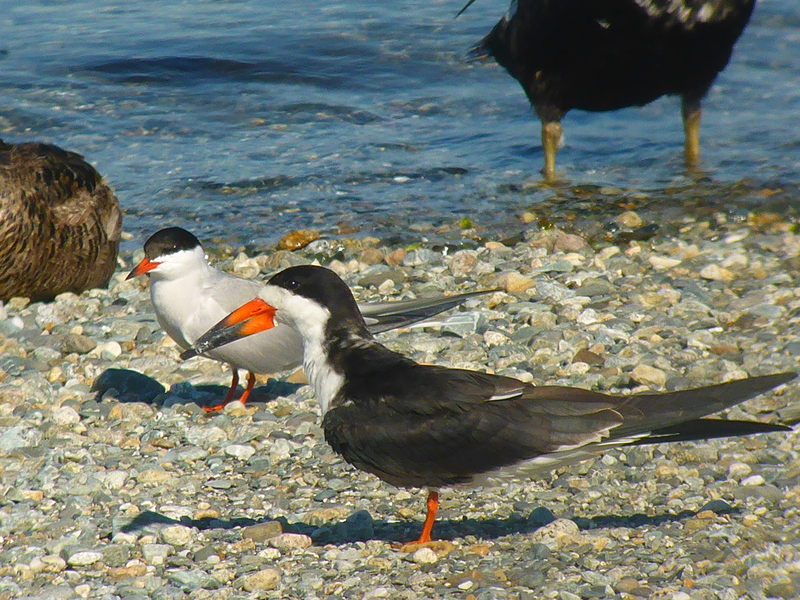 The Ship Island Common Tern colony is a prime example of a restoration island success story and it has been wonderful to be a part of this effort. 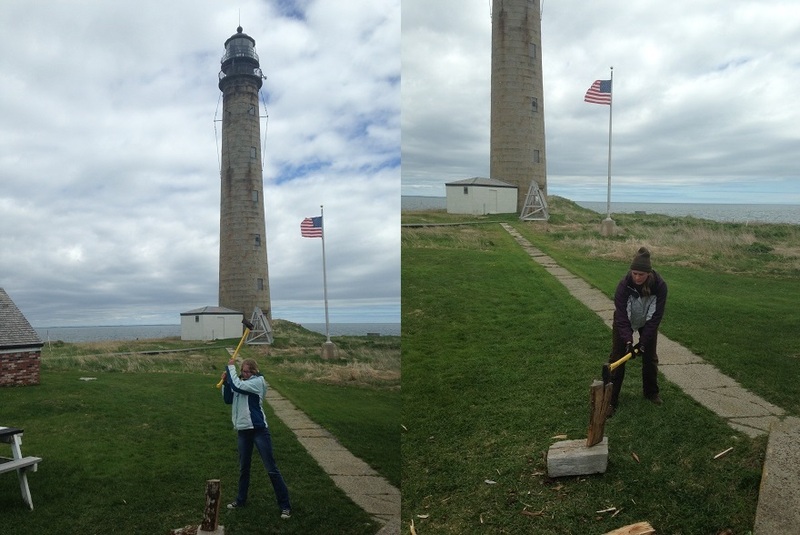 Thanks to the Maine Coastal Islands National Wildlife Refuge Staff for giving us this opportunity and for the amazing seabird restoration and management work that you do! Last walk on the tern colony beach. One of our last sunsets. Enjoy the rest of summer! 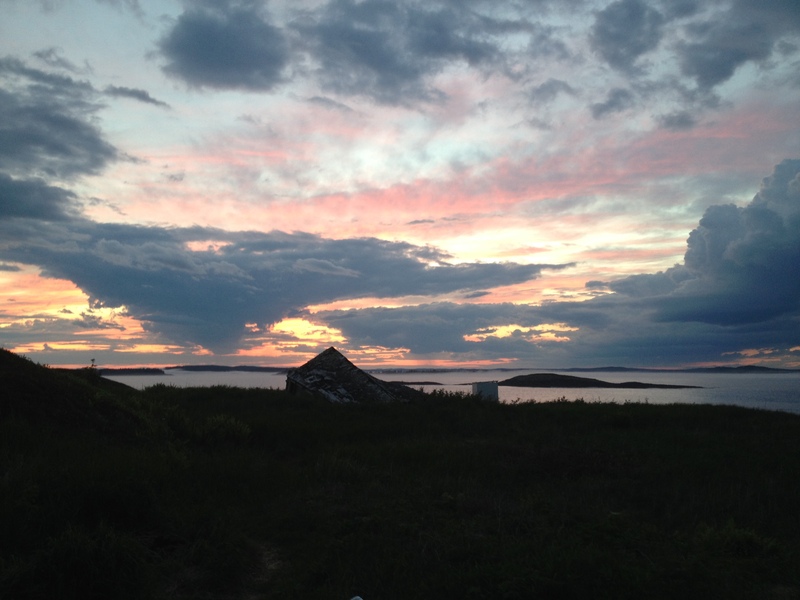 The past few weeks on The Brothers Islands have been interesting, mainly because hurricane Arthur came through with winds almost reaching 70 mph. 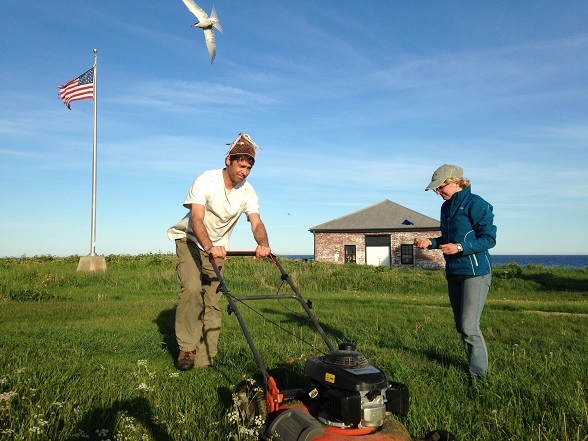 During hurricane Arthur a volunteer biologist, Steve, was out here on the Brothers Islands while Baxter and I were on our break. 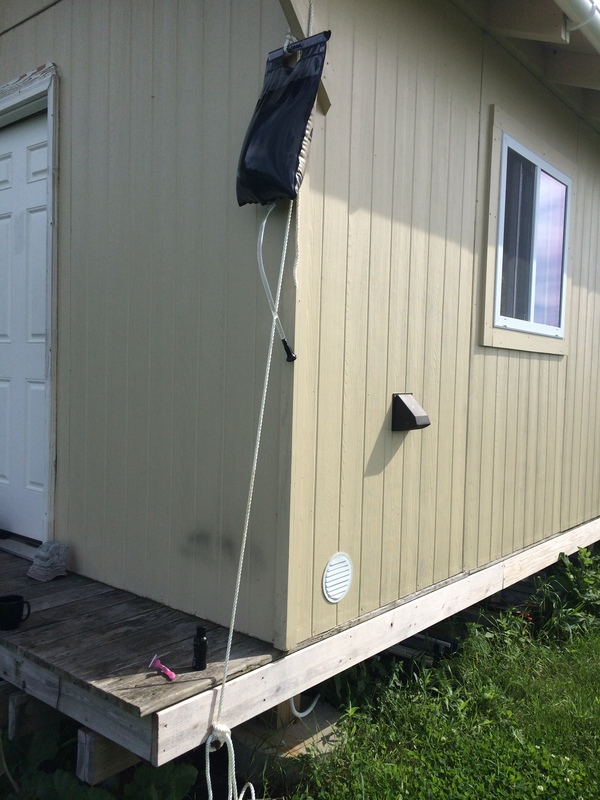 When Baxter and I returned to the island after our break Steve said the outhouse had blown away 10 feet, and our large observation blind was blown 20 feet. To our surprise the blind had barely taken any damage. All Baxter, Linda, Jim, Steve, and I needed to do was put the stand back up and secure it back into place. Baxter and I feared that the tern chicks might not have made it through the hurricane, but surprisingly enough both tern chicks are alive and well. Although the chicks can be sneaky and hard to find hiding in the knee high grass they are both developing at a promising rate. As you can see from the picture they have grown up so much since they first hatched. 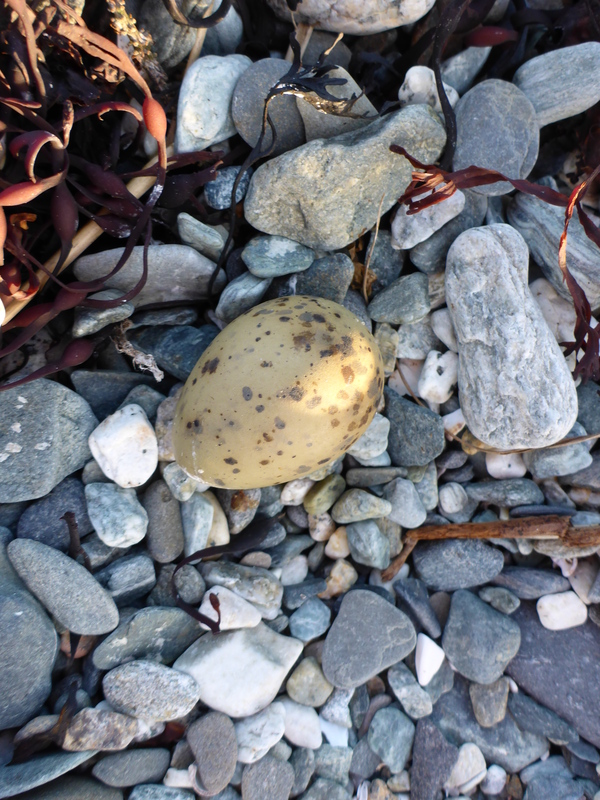 The other two tern eggs are completely intact as well, in fact they are both piping. We expect to see them hatched very soon. Every other day we check the tern chick’s productivity which means we measure their wing cord and the weight of the chicks. I just finished up a week on Ship Island and had such an amazing and unique experience! 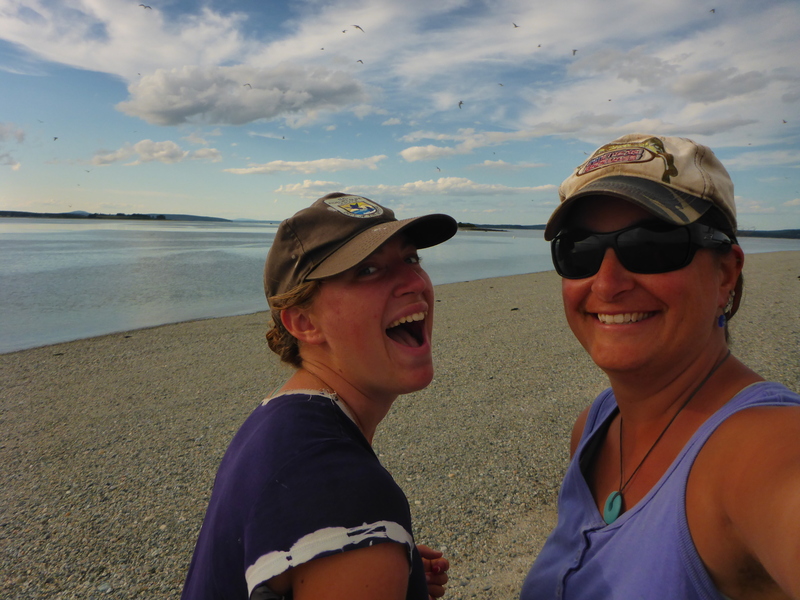 This summer I have been interning with US Fish and Wildlife up at Moosehorn N.W.R. 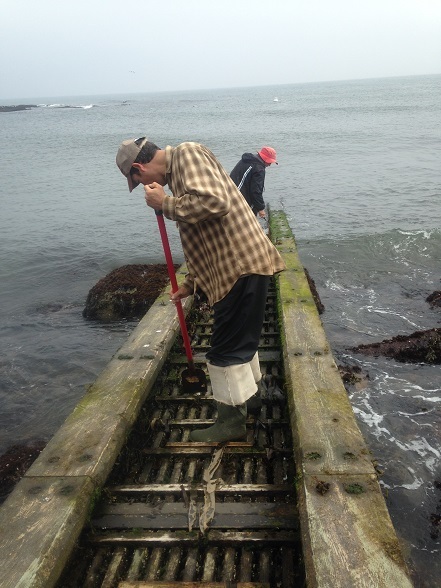 in downeast Maine as a part of the Career Discovery Internship Program. 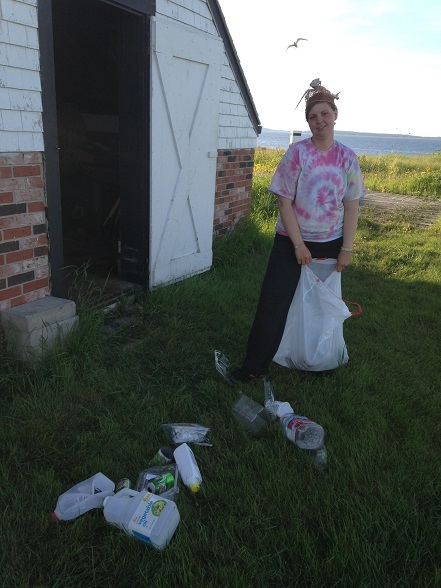 My whole summer has been a whirlwind of new experiences and this week was no exception. 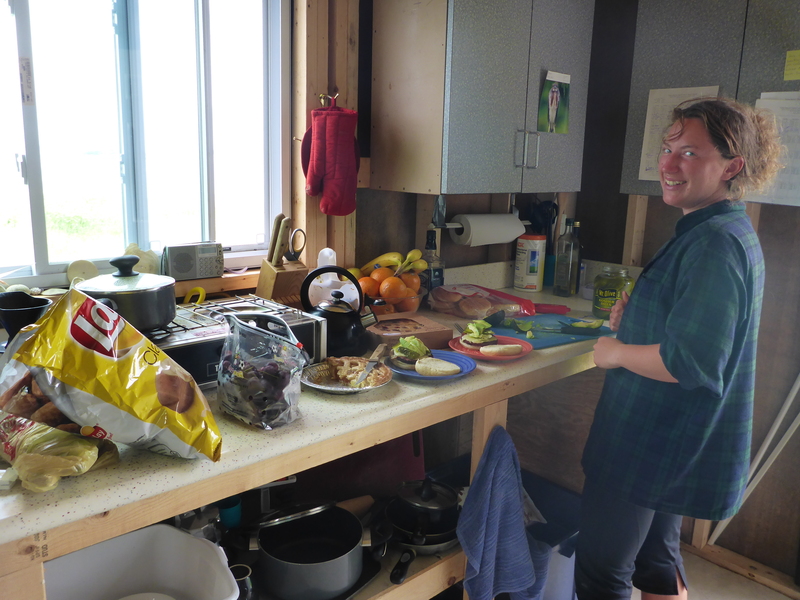 To give the Island Supervisor Mary a break, I jumped right in fulfilling the normal day-to-day duties here on Ship. Having pretty much zero experience with birds, I admittedly arrived a bit nervous not knowing exactly what I would be doing. However, that feeling quickly faded as everyone jumped in to teach me the ropes. I would have to say my favorite task of all would be productivity plots. 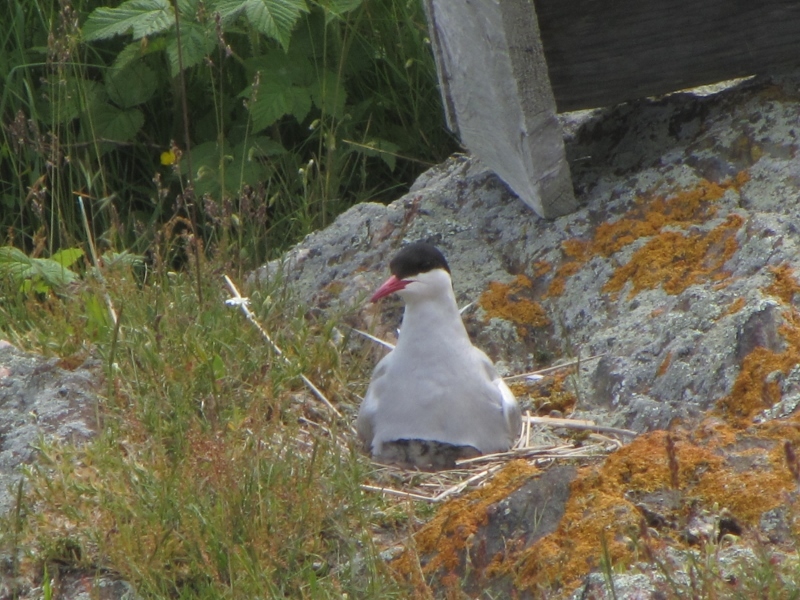 It is amazing to physically see and measure the growth of a Common Tern chick. By monitoring the chicks daily I was able to see the different stages in growth from the starring of an egg to using a 300 g scale as the chicks continued to rapidly grow. I even avoided, for the most part, getting pooped on! 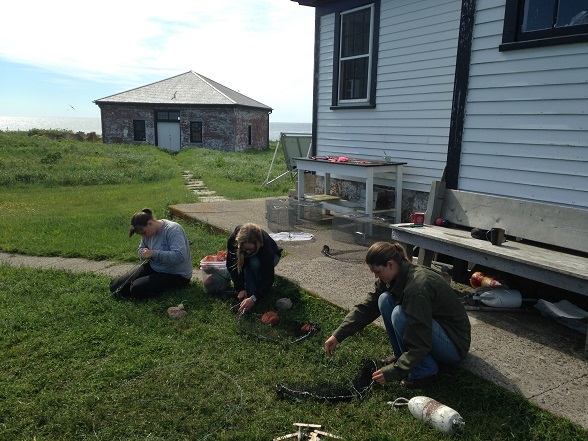 Banding a chick during productivity plots. 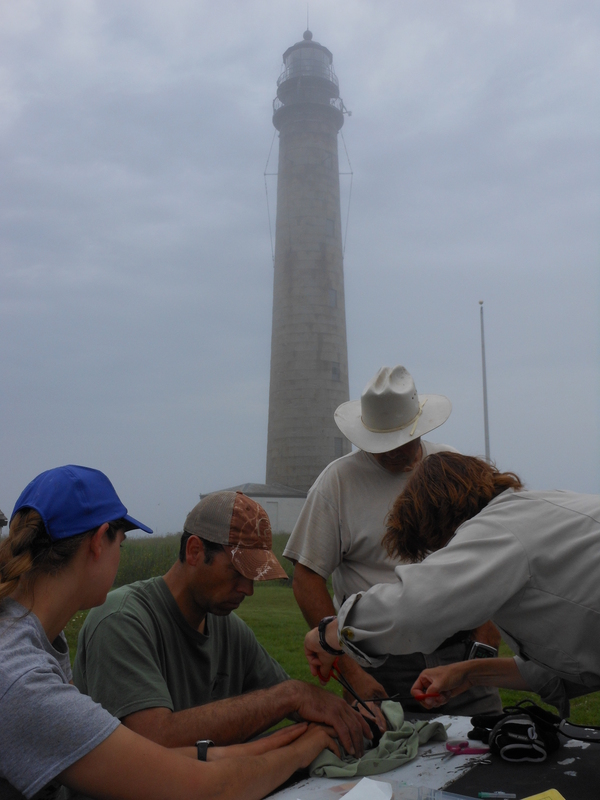 Ship Island is a beautiful place with an important goal to protect and to monitor the Common Tern. It’s been great having a chance to take part in that even for this short amount of time. In all, this week was not only a great educational experience but also a time for me to unplug and soak up the “Island life”. 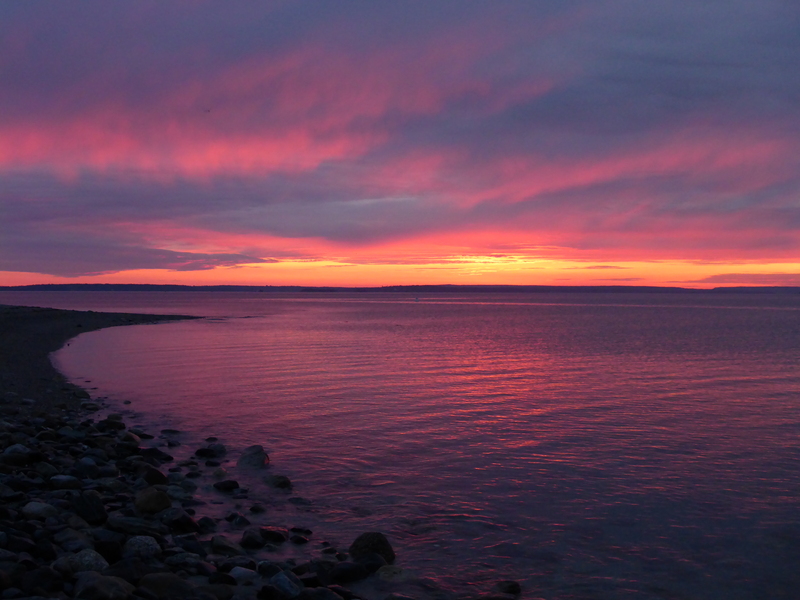 I saw the majestic sunset on my own private beach, and I even had the chance to take my first solar shower! It was surprisingly refreshing! 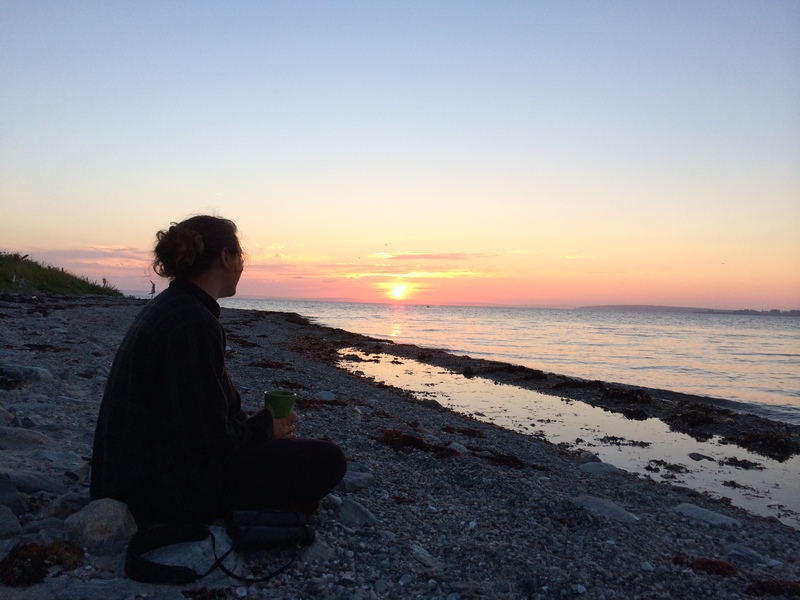 Enjoying the sunset with a cup of tea. 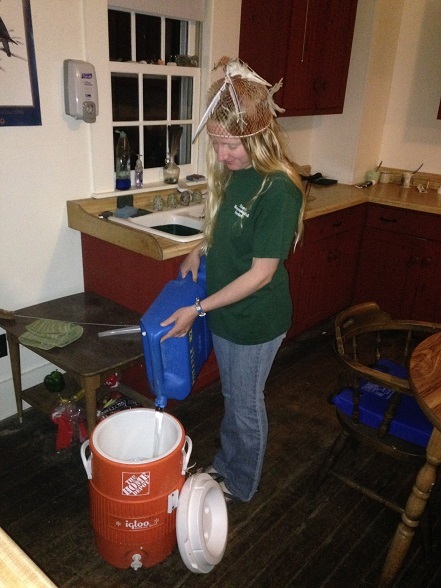 As the heat of July settles in on Metinic, our birds, especially all those chicks we have, all need ways to keep cool. This isn’t that hard for swimming seabirds like Common Eiders. Even though these ducklings are dressed in down coats for the summer, they don’t run the risk of overheating because they hop straight in to the cold coastal waters, sometimes on the day they hatch! 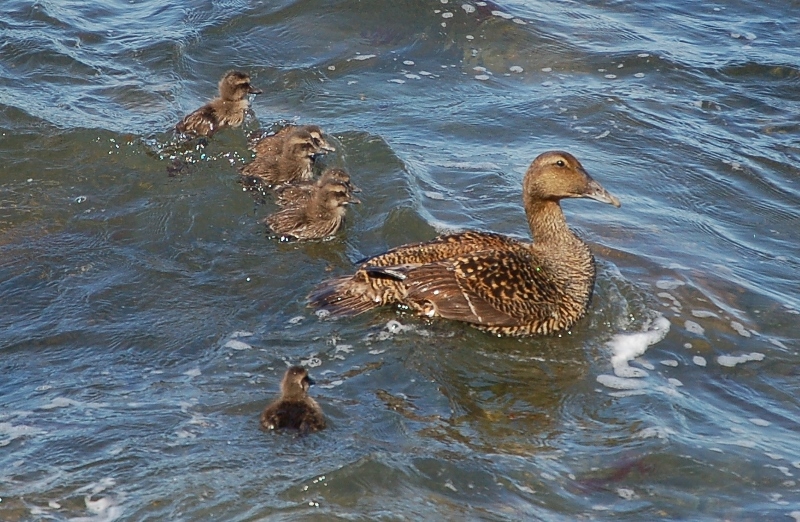 Adults and ducklings alike will spend almost all their time in the water, occasionally hopping up onto rocks to preen. However, chicks that aren’t ready to swim on day one can’t just jump in the water for a nice cool dip. Black Guillemots have found one of the simplest solutions to keeping their chicks comfortable – keep them out of the sun. Along with providing protection from hungry gulls, a guillemot’s burrow is shaded and cool. The chicks won’t leave the burrows until they are ready to swim, and then they can chill like the eiders. 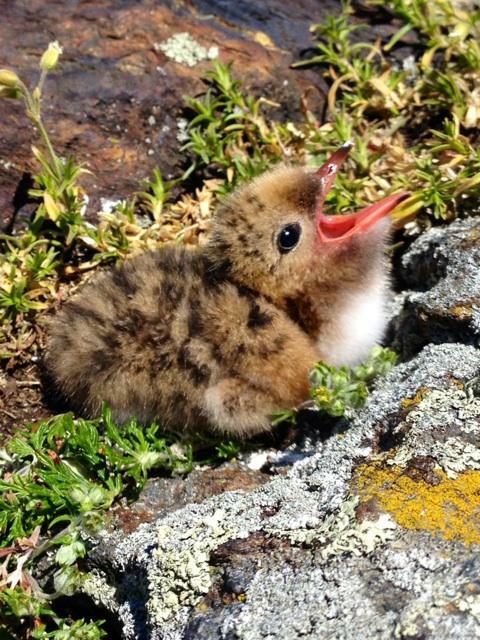 So what if you’re stuck on the land, without a shady burrow like, say, a tern chick? You start out getting a little help from mom and dad. 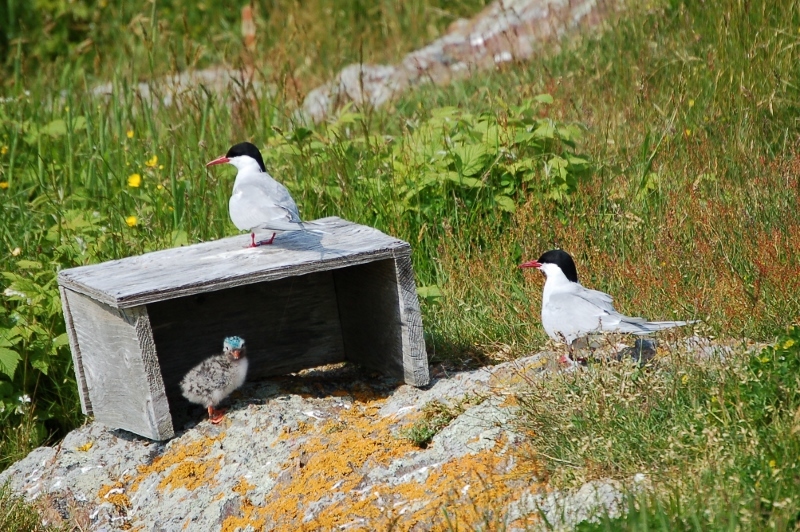 When tern chicks are small enough, they can be brooded by their parents. This behavior does double duty: it keeps chicks warm on cold nights and mornings, and provides cool (or at least cooler) shade during hot days. Some chicks still seem to want to be brooded even when they are far too big. If the parents are off fishing, something they spend most of their time doing once the chicks are a bit bigger, the chicks have to keep themselves cool. The simplest strategy is familiar to anyone with a pet dog: panting. Adults and chicks alike can be seen panting on hot days. 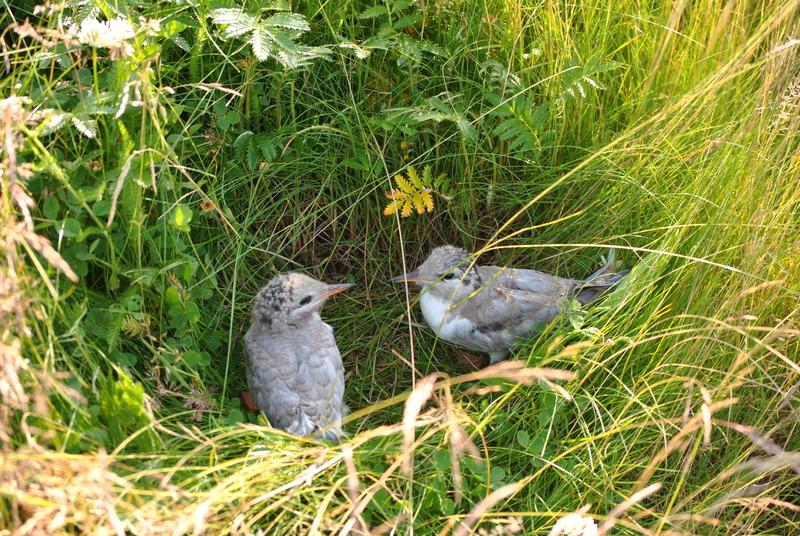 Once mobile, usually just a few days after hatching, tern chicks can seek out shade on their own by escaping under a rock or into the cooler grass. It isn’t unusual for us to find “chick tunnels” marking the path chicks take back and forth between their nests (where they get food from their parents) and a safe spot in the grass. We also put out three-sided structures known as “chick huts” in more exposed areas without much natural shelter. Hope all our readers are staying cool as well! 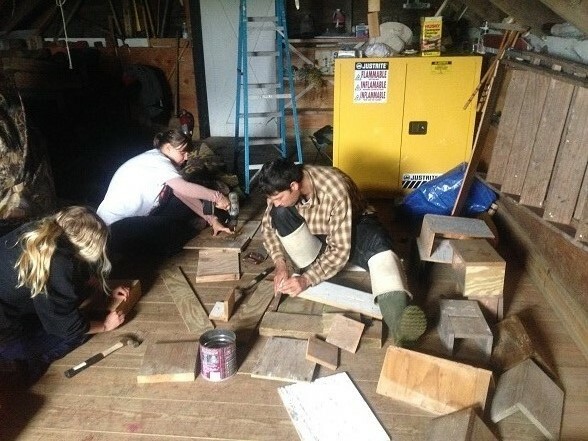 Another day on Petit Manan Island, yes there is major seabird action going on here on our island right now – our terns and alcids are hatching daily and eider chicks are running about, but this post is all about what goes on behind the scenes, the things that keep this island going, the things that maybe aren’t so glorifying. So to keep everybody in line here on PMI we have something called “Worm Duties.” Everyday, someone new is the “worm-of-the-day” and they have to basically do all the house chores, daily weather, and alcid counts of the day. 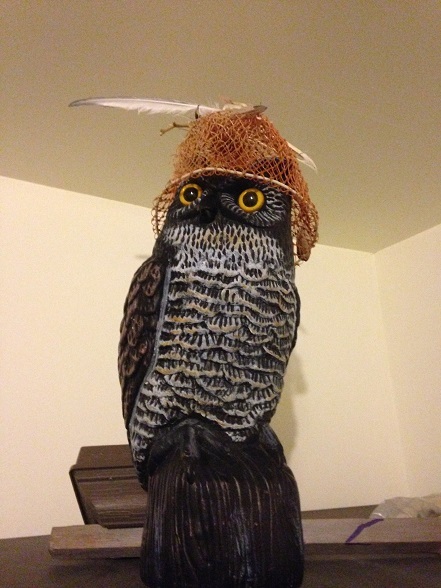 To make being the “worm” extra special, we have to wear the worm hat while working. As we say it has special powers and makes you work harder, maybe even faster so you can take it off quickly! Wow I”m exhausted just looking at all these working photos, oh no got to go! 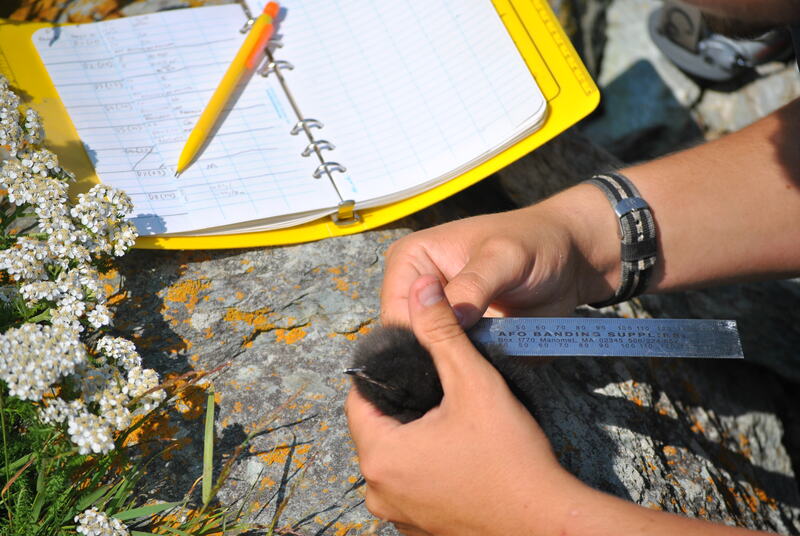 Time for Tern Productivity checks then Leach’s storm petrel checks and data entry!